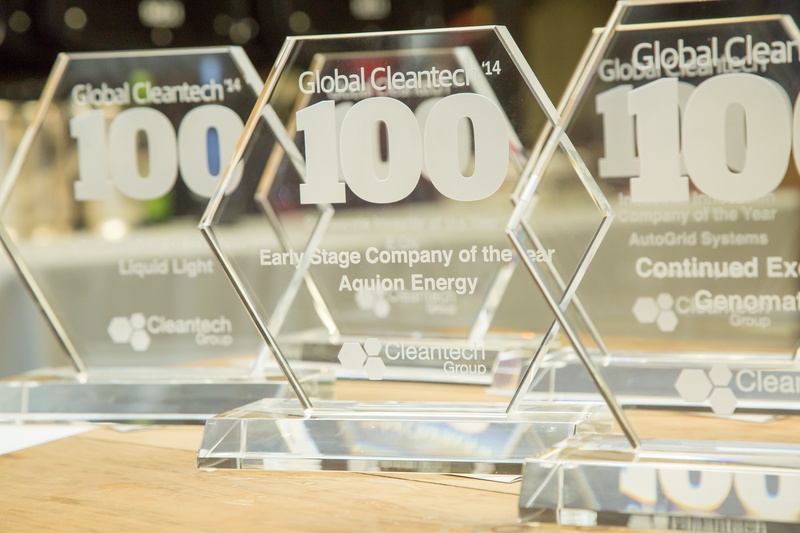 Halifax, Nova Scotia– January 23, 2018: For the third consecutive year, CarbonCure Technologies (CarbonCure), has been named in the prestigious Global Cleantech 100. CarbonCure is a leader in the global CO2 Capture and Utilisation (CCU) industry, estimated to be valued at $800 billion and contribute 7 billion metric tons of CO2 reductions annually by 2030. Concrete, the world’s second most abundant man-made material, is anticipated to be the earliest and largest beneficiary of this emerging class of clean technologies. By nearing its 100th completed plant retrofit, CarbonCure has shown its scalability and status as the preferred CCU technology serving the concrete and construction industries. The proprietary CarbonCure technology is licensed without CAPEX to concrete producers to recycle waste carbon dioxide (CO2) into concrete. The CO2 is sourced from local industrial emitters and injected into concrete during production. A chemical reaction occurs whereby the CO2 is permanently converted into a fine mineral to improve the concrete strength. This material performance improvement is leveraged to further reduce the greenhouse gas emission intensity and create new cost efficiencies and a differentiated sales advantage for concrete producers – a win-win-win solution. This combination of offering both economic and environmental value is one of the key reasons why the technology is so attractive to potential concrete customers, construction specifiers and regulators. This list is collated by combining proprietary CTG research data, with weighted qualitative judgments from hundreds of nominations, and specific inputs from a global 86-person Expert Panel. To qualify for the list, companies must be independent, for-profit, cleantech companies that are not listed on any major stock exchange. This year, a record number of nominations were received: 12,300 distinct companies from 61 countries. These companies were weighted and scored to create a short list of 312 companies. Short-listed nominees were reviewed by CTG’s Expert Panel, resulting in a finalized list of 100 companies from 18 countries. The complete list of 100 companies was revealed on January 22nd at the 16th annual Cleantech Forum San Francisco can be found here. CarbonCure’s retrofit technology chemically sequesters waste carbon dioxide during the concrete manufacturing process to make greener and stronger concrete. CarbonCure’s technology is now being used by the concrete industry today to reduce concrete’s environmental footprint and provide production cost savings. CarbonCure’s technology is currently operational in more than 80 concrete plants across North America, including several of the world’s largest vertically-integrated cement and concrete companies. CarbonCure is part of a growing industry of CO2-utilization technologies that are expected to reduce global greenhouse gas emissions by 15% by 2030. CarbonCure is one of 23 semi-finalists in the $20 million NRG COSIA Carbon XPRIZE challenge, which has been called the Nobel prize for climate technologies. For more information, contact info@carboncure.com or visit carboncure.com.